This clear sun visor is made of PVC. 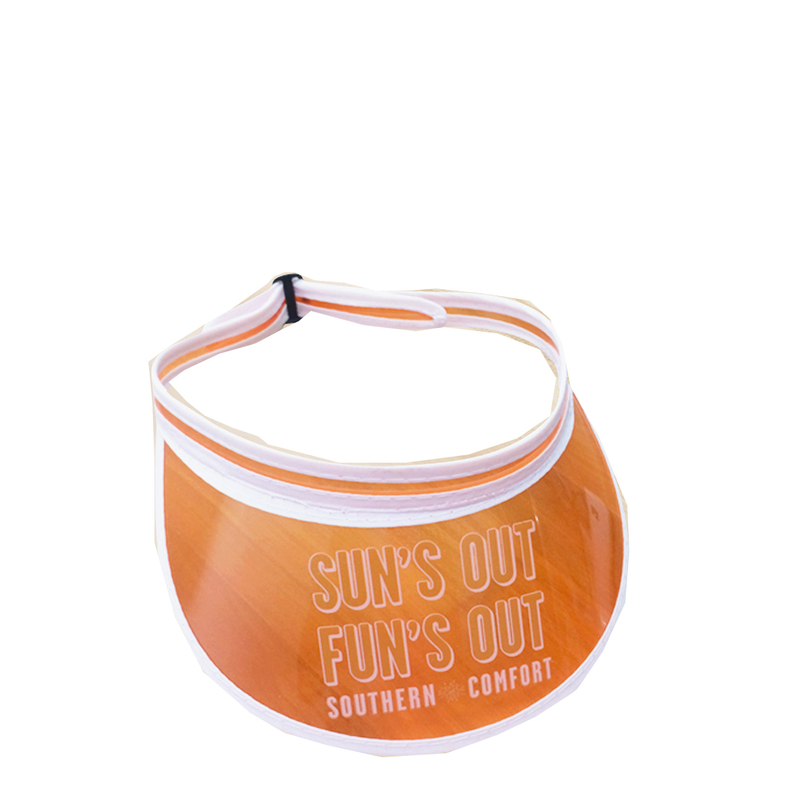 Solar face shield, provides comfortable sun and UV skin protection without interfering with view or performance in sunny weather summer when outside, enjoy the outdoors,athletic activities in comfort and style. Elastic headband provides an adjustable, comfortable fit for all head sizes. Stays firmly on head for fast-moving athletic activities. Product Colors: Red, yellow, green, blue, purple, black, pink, orange, transparent white, translucent color. Package: 10 pcs/poly bag, 500 pcs/ctn, 46.2 lbs/ctn.